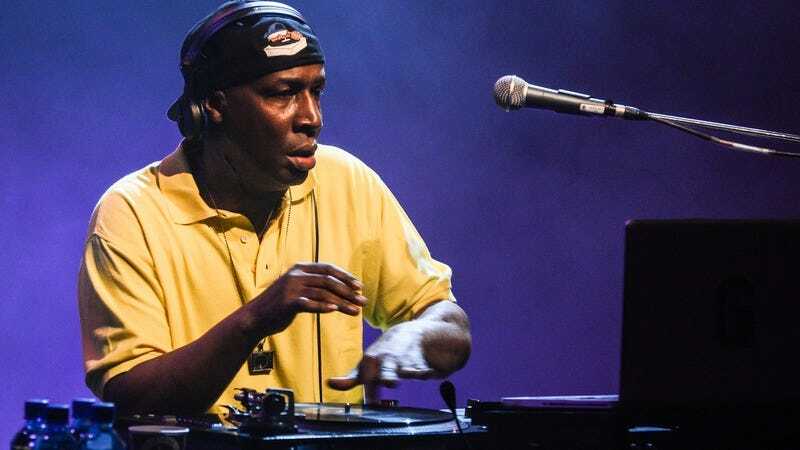 Pioneering DJ Grandmaster Flash has signed on as a consultant for The Get Down, Baz Luhrmann’s new Netflix series about the rise of disco, punk, and hip-hop in 1970s New York. The New York Post reports that the Bronx-born Furious Five maestro will provide guidance to the project, which centers on a group of four teens—Ezekiel, Boo-Boo, Ra-Ra, and the enigmatic Shaolin Fantastic, who are definitely people and not Saturday morning cartoon characters from the ’80s—hunting for artistic expression in a New York City on the verge of bankruptcy. The Get Down is scheduled for a 13-episode run on the streaming service, with Luhrmann directing the first two episodes and the finale. The project has been described as a musical drama (possibly in the vein of the director’s 2001 film Moulin Rouge), but so far there’s been no word on what sort of soundtrack viewers might be treated to. Flash’s presence on the project, though, suggests that at least some elements of authentic ’70s style should be able to spin their way in.